Photos © Paul J Harvey via Alvaro Munoz-Aycuens. Click on thumbnails above to view high resolution photos in Paul's Photostream. 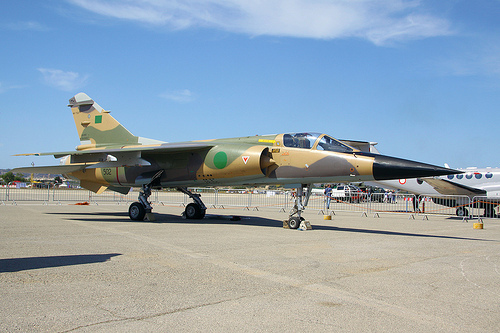 A Libyan Air Force Mirage F-1ED fighter jet had its all-green roundel of the deposed Gaddafi regime replaced by the colours of Libya's National Transitional Council amid applause at Malta International Airport, where the jet was on static display as part of the recently-concluded Malta Airshow. 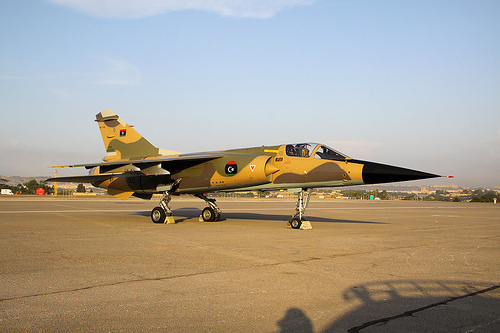 The jet, together with another, was flown to Malta at the beginning of the Libyan revolution in February by pilots who had refused orders to attack anti-Gaddafi protesters from the air.